If you’re like me you want to get the most out of your purchases… You want to make sure that what you buy has a shelf life and is versatile enough to suit all your wardrobe needs. Shop the look sunday is all about showing you how to get the most out of your clothes by illustrating how to take a particular item and translate it from desk to date and from the park to brunch. 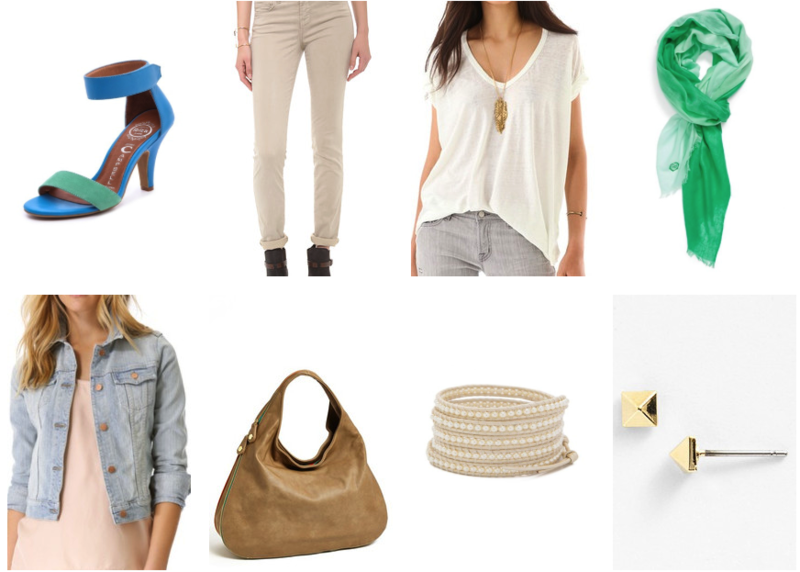 This week I covered skinny jeans, color block accessories and (just in time for St. Patrick’s Day) the color green. I’ll show you how to wear the trends and how to get the most out of your clothes and make your money go further. My theory is – the more wear you get out of an item the better the investment – with just a few little accessory adjustments you can easily transition these looks to suit all of your wardrobe needs! How to wear skinny jeans from desk to date – opt for black, white or colored skinny jeans (save blue for casual friday) and pair with a more conservative blouse/jacket combo on top and some classic yet modern and elegant accessories. Click the pic to shop the look! How to wear skinny jeans from the park to brunch – keep it stylish while comfortable with a pop of color or something special on the top and some great flats and modern jewels. Click the pic to shop the look! How to wear color block accessories – keep the overall look clean and modern and pull in one of the colors again elsewhere in the give a cohesive look without being too match-y.. Click the pic to shop the look. How to wear color block accessories from the park to brunch – dress down these low heeled sandals with some cropped chinos and a denim jacket, then pull the look together with a colorful scarf. Click the pic to shop the look! 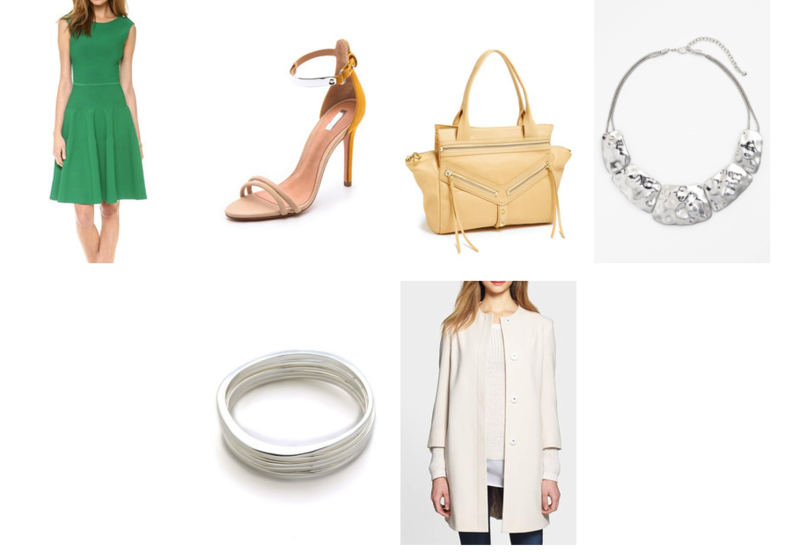 How to wear green from desk to date – choose clean modern lines and pair with light neutral accessories and a great piece of statement jewelry. Click the pic to shop the look! 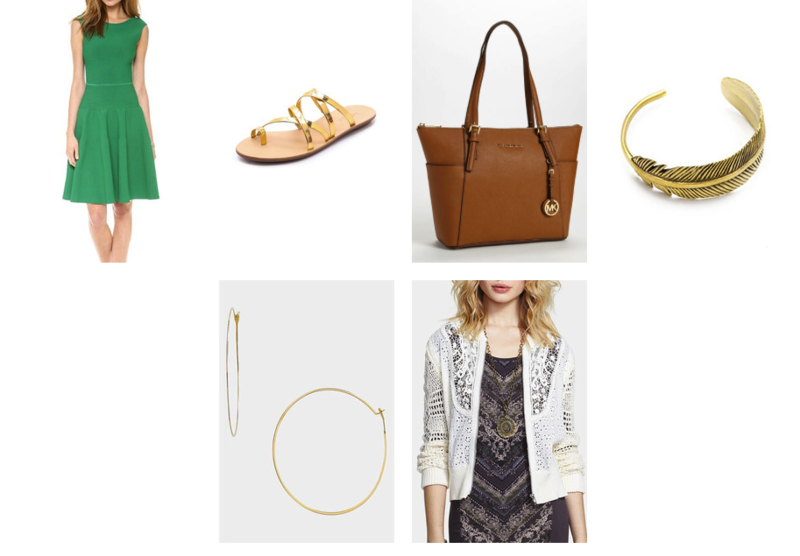 How to wear green from the park to brunch – take your fit and flare little green dress and make it more casual with some great sandals and cardigan to keep you comfortable yet chic. 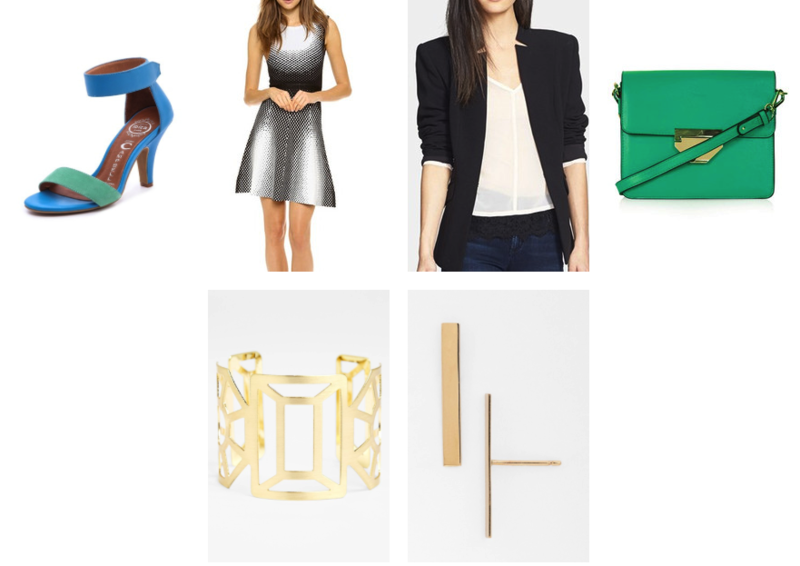 Click the pic to shop the look!